Per the homeschool regulations, children under the age of 6 or 18 and over at the time of the school year DO NOT have to notify the superintendent as they are outside of the compulsary school law age parameters. If your child turns 6 after the start of the district's school year, you would not have to send in a notification. Since 2014 parents are required to send paperwork to the superintendent of the local schools. Some school districts are still requiring parents to send the information to an educational service center. This makes me wonder why the law was changed in the first place since school districts don't seem to be on board with it. I did speak to HSLDA about this a few weeks ago and the lawyer there told me that if parents have a good working relationship with the ESC in their district and know that the superintendent will send their excusal letter, they could continue to do so. I did have a bit of a debate on a Facebook page about this. 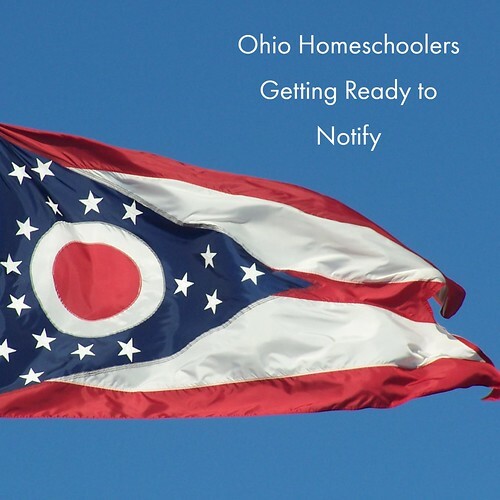 A homeschooler sent her notification of intent to homeschool (NOI) to the superintendent, who returned it to her and asked her to send it to the local ESC. I suggested making two copies, sending one to the superintendent again (certified or at least requiring a signature on delivery) and the other to the ESC. 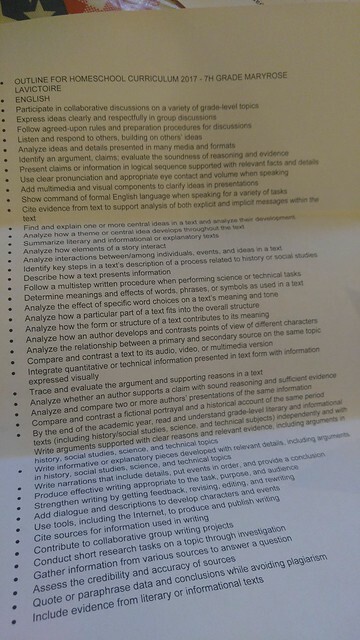 This is double work, and the moderator of this group was dead set against it, but I think it meets the letter of the law, and it helps get the excusal letter, which is the purpose of doing all of this in the first place! 1. School year notification this year is for 2017 - 2018. Phone number is optional, and really all of their communication with you should be in writing. But if you are okay with then leaving a verbal message (I am) then write it in. My response to a message would be written. 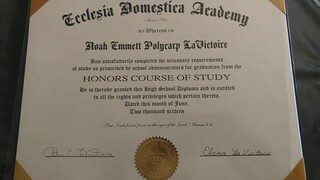 In 22 years of homeschooling I have never received a call from the superintendent's office. 3. Address of teacher other than parent. This would be if someone else was overseeing the education. Co-op teachers or other tutors do not have to be listed. Parents of student athelets who may be looking to participate on NCAA teams for college should keep in mind that for eligibility purposes, they are always the ones in charge of the courses, requirements, and grades for their students. I interpret that to mean that some time, during home education, I will have touched on all of that and hopefully more - like government and world history. It does not mean that I will touch on everything in great depth every year. Even the schools do not do that. 7. 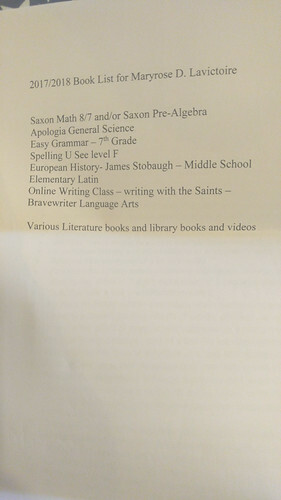 For #7 I make a list of the books and courses that I am going to use. There are sample book list is here and here. As I save the list on my computer making changes to it every year is a snap - but for large famlies I advise keeping a copy of what you do every year so that as a new child enters a grade you have covered with an older child, you can look back and see what you ahve done and you won't be starting over! Here is a link to the form I used for my student athlete.